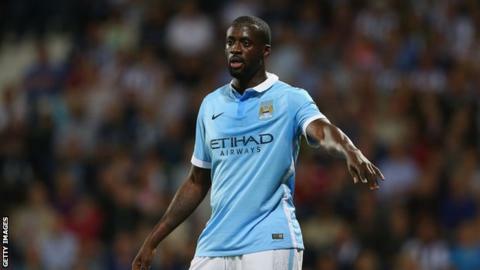 Manchester City midfielder Yaya Toure is in the frame to win a fifth straight African Player of the Year award. Toure has been included on an initial list of 37 names for the Confederation of African Football's annual title, which will be announced on 22 December. The Ivory Coast captain led his side to the Africa Cup of Nations title in February in Equatorial Guinea. DR Congo keeper Robert Kidiaba is one four players also on a 24-man list for the Africa-based player of the year. If Toure claims a fifth title he will overtake Cameroon's Samuel Eto'o, who has won the award four times. Toure's international team-mates Gervinho, Max Gradel and Serge Aurier are the other names on the international list from the Nation Cup winning squad.